A quick search of the internet for the 1786 will show you in an instant what every resident of the Alps as well as those who love the mountains already knows. On August 8th 1786, two young men from Savoie succeeded in achieving the very first expedition to the summit of the Mont Blanc, 4810 meters high. Many, other experienced mountain climbers had attempted to do so before them, but with no success. This decision led them right to the top of the mountain as well as an historical moment! These two young explorers left the beaten path and used their knowledge of the mountain to be the first to reach the top. At 1786.travel, just like Jacques Balmat and Michel Paccard, we pride ourselves on leaving the beaten path within a land we know so well. Our team is enamored with our mountains, our lakes, and vineyards. We are united by a shared passion, that of offering you the benefit of our experiences, our discoveries, and the emotions you will feel during your stay in the Alps Mont Blanc. We believe in the authenticity of these experiences, encounters and discoveries. Anyone can come to the Alps, see what other travelers before have also seen. This isn’t what we offer our travelers. We explore the region, we meet the most talented craftsmen, the best guides and the products of the highest quality, with the aim to provide you with the most authentic experience during your visit in the Alps. 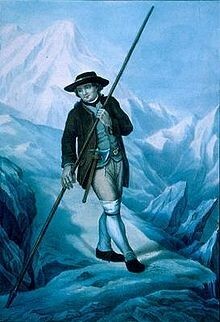 1786.travel offers no other destination than the Alps, our area of expertise. Our wish is to present the depth and diversity of the region. As the area evolves, we pride ourselves on keeping up with changes to be able to provide you with the best experiences. Our area of expertise: organizing trips, excursions and exciting experiences. These gravures are from Jean-Pierre Spilmont's book "Jacques Balmat, héros du mont Blanc" Guérin editions from the Paulsen Media group, 2014. We will listen very carefully to you, in order to define your needs and wishes. We will rely on our expertise and our passion of our unique destination, the Alps Mont Blanc. A selection of the best craftsmen, guides and the best local products that are in keeping with what our travelers hold dear. A fair distribution of the proceeds which we reinvest in the local community. Our professional guaranty, as a travel agency member of the national organization “Atout France” and as such we are covered through the financial organization APST. Our availability 24/24 to assist you should you need it. Fair pricing: our prices are set to be as reasonable as possible as our network allows us to bypass the intermediaries that would otherwise make the trip more costly. All-inclusive: no surprises as we detail the prices of our services upfront, so you know exactly how much your trip will cost. Michelle, originally from Lake Tahoe, California, came to Savoy through love many years ago. This vibrant woman was so taken in by the charms of the many-faceted region that she made it her home. 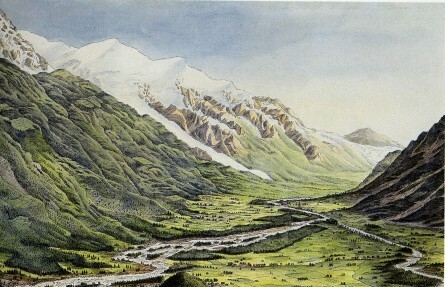 First with Alpsfairy.com she began assembling a collection of practical and clever links to all the many interesting aspects of Savoy and Haute-Savoie. The best hikes, restaurants, events and craftsmen of all types with the added touch of history to make the experience of English-speaking expats and visitors complete. Later, Michelle teamed up with Damien, the perfect professional match! Both of them sharing the same fascination for the Alps Mont Blanc region as well as the urge to share their passion with travelers from all over the world: thus 1786.travel was born ! Damien was born and lives in the heart of the Alps, Chambéry, Savoie and is passionate about travel. Endowed with a degree in business as well as several years’ experience in tourism, Damien has experienced many countries and cultures. Through his travels, Damien has discovered a lot of magnificent places throughout the world (the most beautiful in his eyes remains of course the Alps ...!). But what marked him the most during his travels is one really benefits from a region only when the locals help to discover it. Once back in his native Savoy, degrees and experience in his pocket, Damien was finally ready to create the first receptive agency specialist of the Alps, the authentic Alps! Damien’s passion for his native Savoy inspires and encourages him to create unique tours and excursions that are as authentic as the people that live here. Damien embodies this new generation those who wish to promote and perpetuate the values of locavours. To show the "real" Alps, that of the breathtaking landscapes, generous inhabitants, unusual craftsmen and rich heritage. You will not find a team more complementary and accomplice than Michelle and Damien. Passionate and dynamic, they are at your service to discover the most original of the Alps Mont Blanc. These two athletes and epicureans combine their skills to make your time in the Alps the best possible definitely off the beaten track. During their weekly sight-seeing days, they select confidential places for you and authentic artisans. In the office, it is in a spirited and inspiring atmosphere while they create their original tours. - Their strength: a different and innovative look of the Alps. - The keys to success: their professionalism, their perfect knowledge of the region and a wide network of qualified local partners. 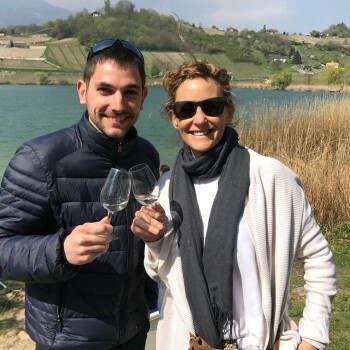 Because the Alps is not only about skiing and hiking, Michelle and Damien offer unforgettable moments that you will love to live, share and undoubtedly relive in the Alps Mont Blanc.